Healesville CoRE has achieved amazing things in very short period of time! And we have done this all with a great team of community volunteers who have committed themselves to working towards achieving our goal of significantly increasing the use of renewable energy in Healesville. To become part of a powerful movement for change in renewable energy in Healesville. To support action to reduce global warming: think globally and act locally! 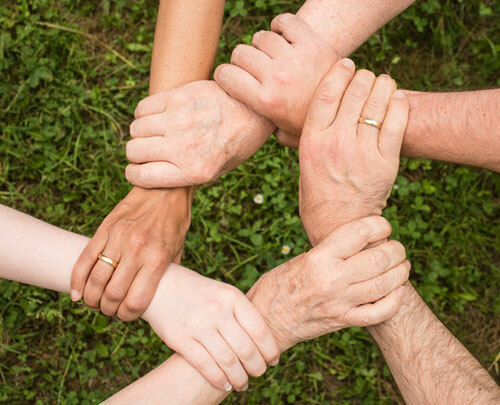 To connect with other like-minded people in our community and to meet others interested in social action for meaningful change. To make a meaningful contribution to others by assisting households and businesses in our community to improve energy efficiencies to lower the cost of energy bills. Would you like to join our very active and energetic group of volunteers? We certainly could use your help. Please contact us and we will get in touch with you. You decide on your time commitment! Are you interested in and have skills in community engagement? We would love to hear from you. We are seeking a Community Engagement Manager to take up a role on our Central Committee and to manage a small team of dedicated, committed and passionate volunteers all working to help Healesville CoRE achieve the goal of a Net Zero carbon town by 2027. The work will involve developing a community engagement strategy and driving the community engagement of Healesville CoRE. Do you have well developed IT skills and would you like to be part of our Media team? Being an aspirational group with a focus on contemporary IT infrastructure to support our work, we now need one or two IT specialists who would be willing to learn our systems and put in a few hours work each week to assist us with IT work that is beyond the skills of our community volunteers. You would work under our Media Manager and our President, both of whom have a very professional approach to our work. If you think you would like to join our dynamic team, we would love to talk with you! If you are interested in learning about our work and engaging with the Healesville community, get in touch and let’s talk about your interests and our needs! This is very enjoyable and fulfilling work.